I'm still reeling from the nausea brought on by the massive shopping bender that occurred on Wednesday. One of the perks of the course was a discount evening in the MAC store to top up our kits. I vowed to be sensible but underneath I knew that I would spend the entire time telling myself that the amazing deal meant I was saving money. I did however get a foundation that is the perfect colour and coverage for me and I'm really pleased with it. I'm using it to justify not being able to leave the house for the next couple of months let alone eat! 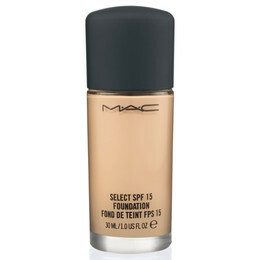 If you want to try a foundation with good coverage and a light feel then try MAC's Select SPF 15 foundation but make sure you get the right colour! 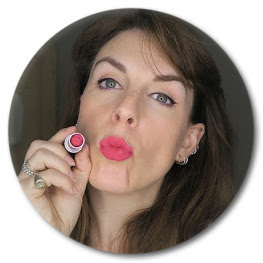 My rather long silence is due to me being on an Intensive Guide to Make-up Artistry course at the London College of Fashion and the intensive part is no lie. I'm exhausted. I'd had rather an optimistic plan to blog the course like a diary but some how I just don't think that's going to happen. I do, however, have a definite favourite stand out product that we've been using on the course that I think is just fantastic. 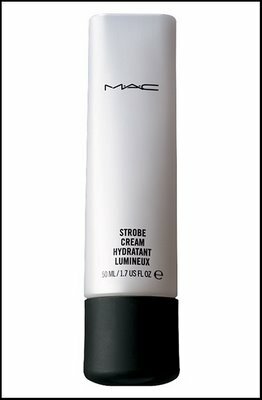 Mac's Strobe Cream can be used as a moisturiser or with foundation and gives a lovely dewiness to the skin that is wonderful in photographs without being shiny. Because of the light reflecting qualities is reduces the appearance of fine lines and open pores. For anyone doing photo shoots or wedding make up this is a real must have.